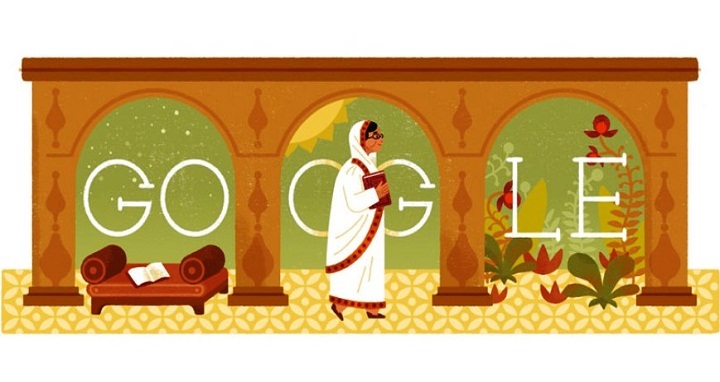 Dhaka, 9 Dec, Abnews: Google Doodle Celebrate Begum Rokeya’s 137th Birthday. Begum Royeka was a pioneer in Bengali feminist thinking and writing. Born in 1880 in present-day Bangladesh, she became a persistent advocate for female education in her country, helping set a new precedent for the era. Today we celebrate her accomplishments on what would have been her 137th birthday. Royeka’s literary career spanned published essays, poems, short stories, and books, but her most well-known work is Sultana’s Dream, a science-fiction piece depicting a feminist utopia. She was one of the first Muslim women to express these progressive opinions and witty insights, championing equality in the treatment of men and women. Royeka was a major advocate for women’s education, believing deeply that the disparity in available education for men and women was the root cause of inequality. A few years after writing Sultana’s Dream, Royeka established the first school for Bengali Muslim women in Calcutta, which remains a successful school for girls and women. Later she created the Muslim Women’s Association, developed to support women’s education and employment causes. Royeka believed firmly in narrowing the gap in opportunities for men and women, and dedicated her entire life to the cause.